It looks like we are entering a perfect storm for the oil industry: high demand and high prices. Resilient demand growth and supply outages have sent oil prices to four-month highs — WTI at US$60.19/bbl and Brent at US$68.57/bbl — exceeding analysts’ expectations. Oil demand grew by 1.55 million barrels every day in January from a year earlier. While Goldman Sachs says global oil demand is growing faster than expected and is on track to hit 2.0 million barrels per day in just months. This comes as China lifts demand and Saudi Arabia cuts production and restricts exports — signalling that OPEC’s biggest producer is set to do ‘whatever it takes’ to rebalance the market and support oil prices. Looking further ahead, the move away from diesel engines in Europe, a value-added tax cut in South Korea, and a drop in gasoline prices relative to biofuel in Brazil are anticipated to provide additional support for higher prices. For investors looking for a potential investment winner in the oil and gas sector, companies operating in a low interest rate, low cost, and low risk environment will have the upper hand. One ASX junior seems to fit that bill. It’s a $7.6 million company with three early stage, 100% owned petroleum exploration permits located in the prolific Browse Basin, offshore Western Australia. The three permits cover a total of 11,000 square kilometres, with the first permit, the Idris Prospect, hosting an oil discovery known as Gwydion, which was first drilled by BHP in 1995 where they discovered oil and recovered it to surface. There is another BHP connection as well in managing director Brendan Brown, a technical engineer with BHP Petroleum before founding today’s company in 2009. He is part of one of the strongest management teams of any ASX junior. The project will require regulatory approvals and financing, with actual drilling and production anticipated to occur no earlier than Second Quarter 2020. However, during this 12-14 months, we should see plenty of activity, milestones and catalysts to come. The project has great economics, good quality oil, high porosity and permeability, and the potential to unlock over 100 million barrels recoverable. It’s a company with particularly strong upside and it’s only just getting started on its main game. So who is this oil junior? With those words, uttered by major oil companies to IPB Petroleum (ASX:IPB) management, IPB had no doubt it was sitting on a potential multi-million dollar oil project. The map below illustrates IPB’s permits in the Browse Basin, including the Idris Prospect and its close proximity to Icthys and Burnside, Icthys, in particular, points to a lot of upside for IPB and we will look at in further detail shortly. The endorsement of several majors in the region, raised the question of how IPB would progress its exploration to a point where it could capitalise on improved sentiment in the oil industry. The answer came in its recent refocus to put aside a farm-out deal (it was taking too long, however a future farm-out isn’t off the table) and move towards debt financing. IPB is currently arranging debt finance up to US$80 million to fund its Drilling, Logging and Testing (DLT) program. This project has the objective of delineating the upside resources available, or identified with the original Gwydion oil discovery. It is this strategy that, I believe, could be a game changer for the company. IPB has appointed Atoll Finance to arrange debt finance to fund the company’s Drilling, Logging and Testing (DLT) program within its WA-424-P exploration permit. The permit contains three wells: Gwydion-1, Caspar-1A and Pryderi-1. The Gwydion-1 well was drilled by BHP in 1995. The well discovered a 14.5m gas column in a poor-quality glauconitic sand above a 10m oil column in a good-quality Cretaceous-aged Hauterivian/Barremian clean sand. The plan was to farmout an interest in WA-424-P for the drilling of an appraisal well to be named Idris-1 to test the updip presence of the oil accumulation intersected in the Gwydion-1 well. That plan has changed and IPB is now in the process of raising funds via a debt issue to be applied to the DLT Project that would cover the maximum estimated drawdowns required to fully fund the project. 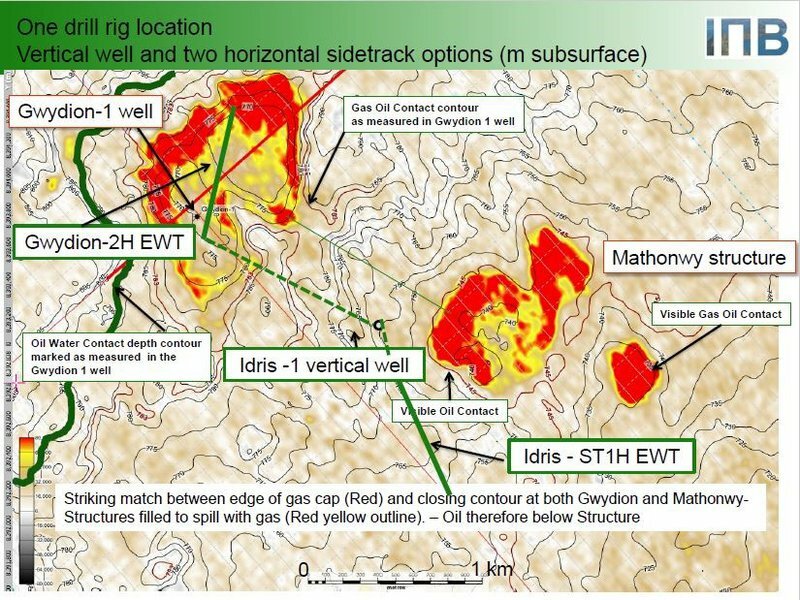 That’s US$80 million to be used to drill a well at Idris and then complete a flow test of a further horizontal well to assess the extent of the oil discovered by Gwydion-1. The extended well test project has the objective of delineating the upside resources available, or identified with the original Gwydion oil discovery. The project will require environmental and safety regulatory approvals (including NOPSEMA), and financing and the likely timing is anticipated to be no earlier than second quarter 2020 for actual drilling and production. IPB is working off a solid base. “We've already done some reservoir work and realised the Gwydion reservoir could flow anywhere from 10,000, 20,000 barrels a day. So, that's very, very good for a horizontal well,” Brendan Brown told Next Oil Rush just last week. 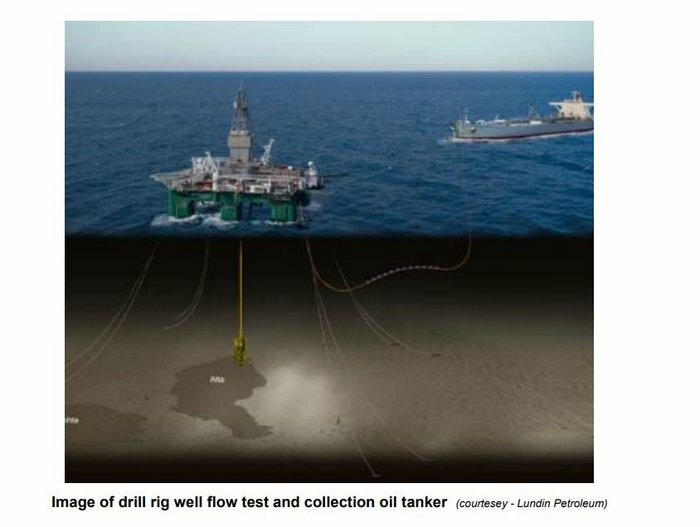 All in all, the project will better define reservoir size and resources, but what is important to note here is that oil flowed during the test will be transferred to a chartered tanker and sold — essentially paying for itself. The debt finance is likely to take approximately four months to complete. Right now, IPB’s focus is on determining how large the size of the oil accumulation may be. As stated, work has already been conducted, including IPB’s interpretation of 3D seismic reprocessing and depth conversion. While results were inconclusive on how large the reservoir may be on the upside, the proposed DLT project will provide valuable information on the ultimate size of the oil reservoir. Under both scenarios the oil produced — estimated to be approximately 1.8 MMbbls (broken down into two 900kbbls tanker loads) in total — would be transferred to a tanker at location and, as stated above, sold for profit. So to answer the question above: Yes, it can pay for itself if all goes according to plan. “If the well is successful, we're looking at unlocking close to a 100 million barrels of oil,” Brown told us. But the numbers don’t stop there. According to Brown, initial costings developed in discussions with key suppliers and contractors including drilling rig operators, well testing service providers and tanker operators indicate that the project could be very profitable at US$60bbl for Tapis or Cossack grade crude oil. 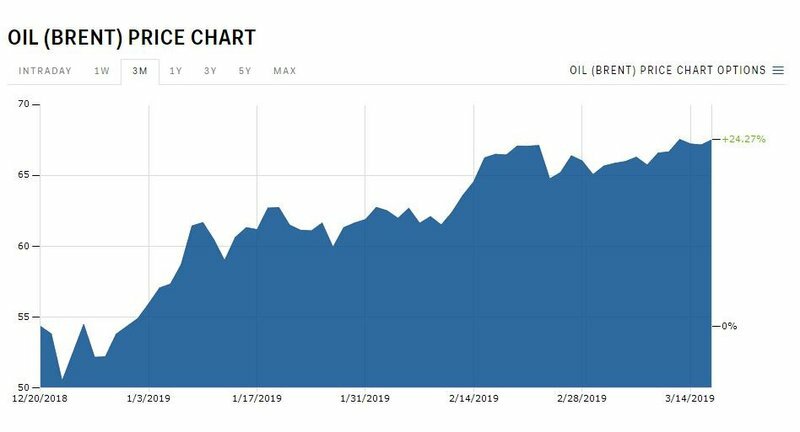 The current oil price sits at $67.54, and has been in an uptrend over the past few months, as you can see in this chart, so the future is looking bright for IPB if current prices hold. But Brown knows there are risks. So let’s break the numbers down further across the two scenarios mentioned above. If the extended well test at Idris provides the best data and production and the subsequent horizontal well, the oil recovered can be sold and will pay for all associated costs, whilst delivering a substantial profit. If Idris does not meet expectations, the drill rig will stay put whilst the company drills a horizontal production well just a kilometre away through the Gwydion-1 location where there is a known oil and high quality reservoir. The location is estimated at 12.2MMbbls in place. In this scenario, the recovered oil is again expected to pay for costs and deliver profit. Under both scenarios the oil produced would be transferred to a tanker at location and sold for profit. And to keep costs down, IPB will only produce for 120 to 160 days. Here’s the low ball scenario: IPB intends to flow an average of 11,000 barrels per day at Gwydion-2, over 167 days, at a produced volume of 1.8MMbbls that will go into two tankers. The total project costs are estimated at US$100 million. However, here’s the kicker. The project cost per barrel is US$56, whilst the oil sale price per barrel is US$65. That’s a profit of US$9 per barrel and having done the math a project surplus profit approaching US$17 million. That is the most likely scenario at Gwydion-2. The expected scenario at Idris-IH sees 1.8MMbbls produced, with a flowrate of 15,000 bopd. Total project costs of US$83 million (US$46 per barrel), and a US$75 oil price per barrel, and we have surplus profit of $52 million. In its best case scenario at Idris-1H, at a 15,000bopd flow rate and 2.7MMbbls produced, IPB would end up with a profit surplus of US$124 million, assuming an US$85 oil price and project costs of US$39/bbl. Commercial threshold is only 10.8MMbbls, so there’s a high estimated chance of commerciality if the proposed drilling of Idris-1 successful of around 98%. At best estimate (P50), Idris will have development costs of ~US$8.39/bbl, operating expenses of ~US$4.06/bbl initially, then averaging US$14.37/bbl, for an internal rate of return (IRR) of ~65%, and a payback period of less than 12 months. The numbers stack up. IPB is locking in its costs now, while interest rates are low and the oil price is rising. The debt facility will be used to cover any unforeseen circumstance as well as operational costs such as rig hire, which the company is looking to lock in in the coming days. “The biggest thing with these projects is you need the rate of production to cover not only your OPEX, but then pay back your CapEx,” Brown says. Confidence can be drawn from IPB’s neighbours. 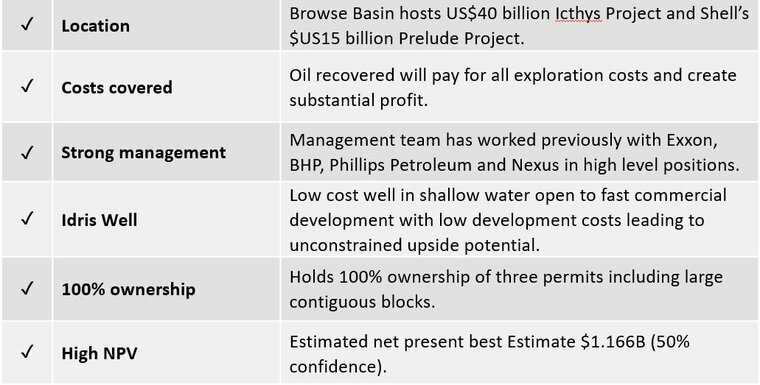 They may sound like Simpsons characters, but Burnside (gas discovery made by Beach in 2009) and particularly Icthys have delivered in spades in the last few months. Japanese oil and gas giant Inpex saw the departure of its first shipment of condensate from its US$40 billion Ichthys LNG project in the Browse Basin. 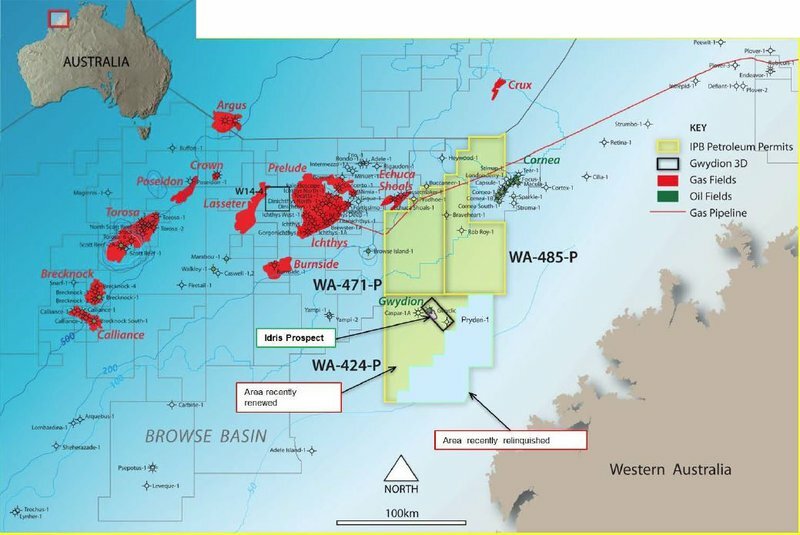 Inpex general manager of external affairs Bill Townsend said, "The Ichthys Field itself represents the largest liquid hydrocarbon discovery since Bass Strait in the 1960s, so a very significant condensate discovery and one of the largest ever discovered in Australia." Inpex’s permit for WA-532-P is immediately adjacent to IPB’s WA-424-P. Read into that what you will, but I’d say IPB is well located to hit its mark. Also in the area is Shell’s US$15 billion Prelude project, Woodside’s $40 billion Browse LNG project and Santos’ Crown and Lassiter and Origin’s multi tcf gas condensate Poseidon discoveries. Those are some big name companies, managed by some top executives, just like IPB is. This is an impressive list of people. One of the most experienced Boards you could find running a small cap. As mentioned, IPB founder Brendan Brown was formerly with BHP and was heavily involved in the Jabiru, Challis and Skua projects and operations, and Griffin oil field developments. In a previous life, he was an analyst and corporate advisor with ANZ Investment Bank, so he knows his numbers and he was also the general Manager of finance and business development with Nexus Energy (2006 to mid-2008). Then there’s 40-year veteran and former AWE/Exxon Mobil executive Bruce McKay, who just happens to be an Honorary Life Member of the Australian Petroleum Production and Exploration Association and was Chairman between 1991-92 and is a member of the American Association of Petroleum Geologists and the Petroleum Exploration Society of Australia. Suffice to say he knows a thing or two about oil exploration. Geoffrey King worked with Esso and BHP and was directly involved in the Gwydion discovery among others, while Broderick Ray is an ex-Santos reservoir engineer and marketing executive who has been consulting to the industry since 2012. Finally Philip Smith can namedrop a few giants he’s worked with including BHP, Woodside, Phillips Petroleum and Nexus and was involved in oil and gas discoveries at Elang, Laminaria, Maple and Argus. That is a seriously experienced team that is determined to lead IPB to bigger and better things. There’s a lot of upside for IPB. While it will take a few months to finalise its debt finance, once funding is complete, we can expect a whole lot of catalysts to come as it moves towards production in 2020. The Idris well is a shallow, low cost well from which IPB will look to produce between 11,000 and 15,000 barrels of oil per day. At the current oil price and with funding set to cover all costs, and oil shipment set to create substantial profit, IPB is in a very strong position. And that’s just the start of the highlights. All going to plan, this $7.6 million capped company playing in the same field as Inpex and other giants, is unlikely to remain a small cap for too much longer.